Kayayo " The women who carries a heavy load". 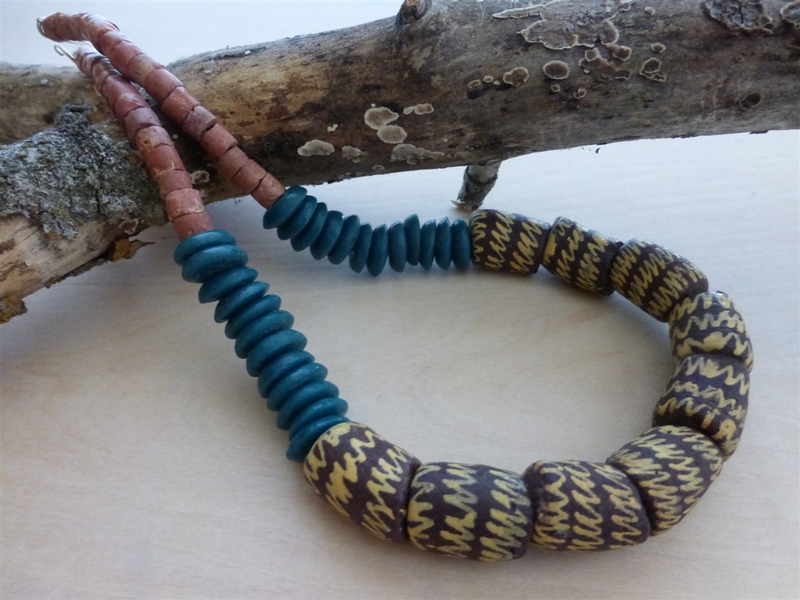 This earthy necklace is something special, made from bauxite and recycled glass beads. Approximately 21" in length. Handmade by women artisans in Ghana.